City Hall or one of the BV Convenient stores. All entries must be turned in by Dec. 14th at 6 PM. 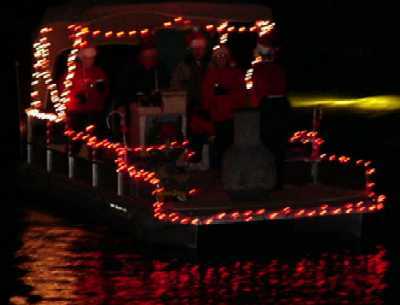 All decorated boats will meet at the Hwy 6 bridge at 5:30 PM. Numbers will be given to be posted on the drivers side for judges to see. 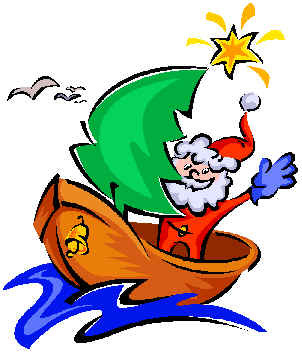 Kids always expect candy to be thrown from the boats so be sure to have plenty for each canal. Parade will start down Dolphin St. at 6 PM. It will end going down Blue Heron. Judges will be on each canal. 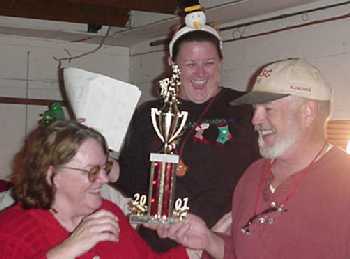 Trophies will be handed out at 159A Tarpon (end house on the lateral canal) after the parade. Boats can dock there after the parade. Refreshments provided by the Garden Club will be served for all to enjoy. 815 Main St, LaMarque 938-4743. Neptune Properties 3109 Neptune Dr. BV, 935-1902. If anyone has generators that can be loaned out for boaters to use please call me. For more information please call Brenda at Gulf Coast Computers 935-9544. Below are photos of last years parade. 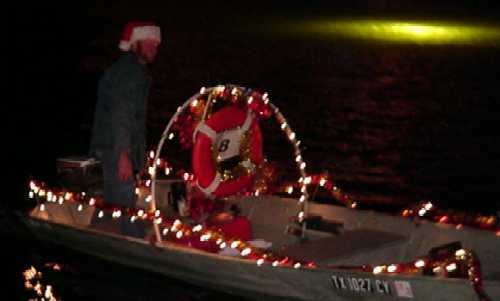 Bayou Vista Boat Parade 2000 - Saturday, Dec. 16th. The BV Salt Water Garden Club members did a great job with judging. 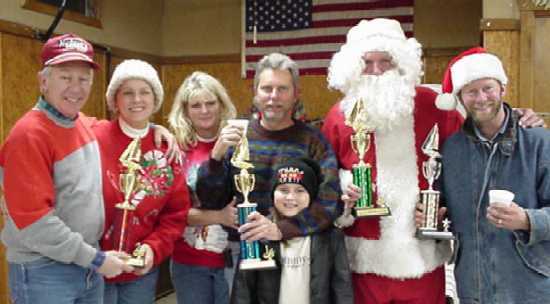 After the parade, trophies were given out & refreshments provided. 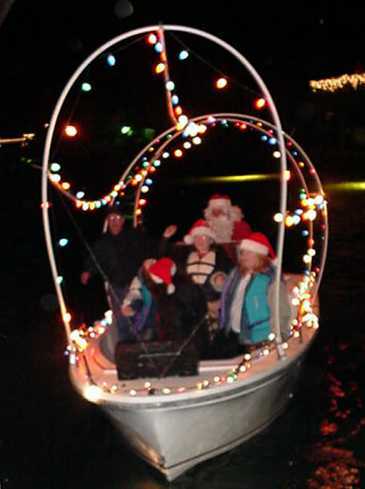 Winners of the BV 2000 Christmas Boat Parade. Have you purchased one of the "Village of Bayou Vista" Phone directories for 2000-2001? It would make a great gift for only $7. It can be purchased at City Hall..
All proceeds go to the BV Salt Water Garden Club. Give that dog a bone! Boat was all decorated, then put into the water but the steering was locked up. Decorated to the max but the generator blew----could not handle the lights. Blew out a tire on his boat trailer on the way to putting it in the water. 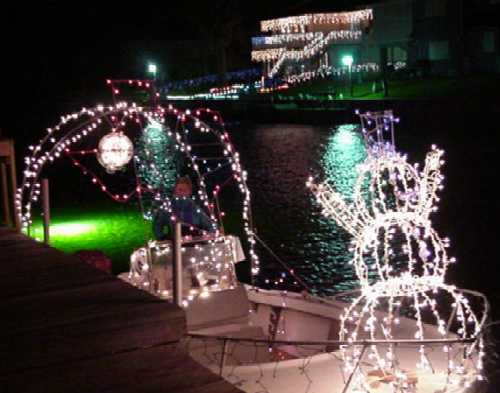 for 2000 the night of the boat parade Dec. 16th. They have been serving Bayou Vista Residents for 15 years.